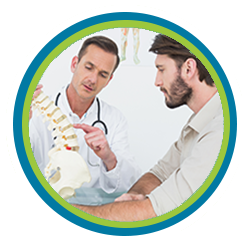 At Secrest Family Chiropractic, PC we're dedicated to the goal of providing relief care for all our chiropractic patients. Relief care is the treatment of conditions to control or manage pain. We administer chiropractic care because we want you to have a full, happy life, and we believe that chiropractic care is the best way to make that happen. Why do patients from Scottsdale, Tempe, Mesa, Chandler, Paradise Valley, Fountain Hills, and Phoenix seek chiropractic care from Secrest Family Chiropractic? What chiropractic treatments are used to provide pain relief? Our treatments range from chiropractic adjustments to lifestyle advice. We also teach our patients to do healing exercises. Once patients know how to do these exercises, they can work on their recovery in their own time, in the comfort of their own homes. We also administer physiotherapy to reduce inflammations and relieve pain. In addition, we provide massage therapy to patients to reduce muscle tension and increase blood flow to affected or injured areas. Can you seek chiropractic care if you show no symptoms at all? Many patients seek chiropractic care without showing any symptoms. For example, studies have shown that chiropractic care can be helpful for whiplash, yet whiplash often shows no symptoms when the patient first becomes injured. Patients who have been involved in car accidents can come to our clinic, and we can treat their problem before their pain begins. In reality, pain is a poor indicator of health and often only begins after a condition has become advanced and unmanageable for the patient. Whenever possible, our goal is to stop pain before it starts. Is pain relief the only reason to seek chiropractic care? We treat patients in many ways and use a variety of techniques, some of which may have nothing to do with pain relief. For example, we offer nutritional counseling to help patients stay healthy and manage their conditions. Our nutritional counseling services are meant to speed recovery times while helping patients lose weight. We also offer preventative services that can help patients avoid problems before their problems become problems at all. For example, our postural screenings and health talks are meant to help patients stay informed and understand more about maintaining their own health. 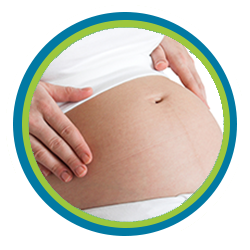 Want to know more about what Secrest Family Chiropractic, PC can do for you? Contact us today at (480) 994-4411 for a free consultation with a chiropractor. We'll answer all your questions and talk to you about how you can benefit from chiropractic care. Secrest Family Chiropractic, PC is proud to serve families and individuals in the Scottsdale, Mesa and Tempe, AZ area. We'd love to meet you and tell you more about how chiropractic care can provide you with relief care.